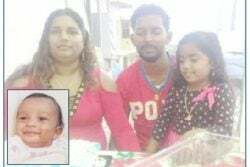 (Trinidad Guardian) Des­per­ate to es­cape Venezue­lan pi­rates, two kid­napped fish­er­men jumped off their ab­duc­tors’ boat on Mon­day night and took their chances in the sea. 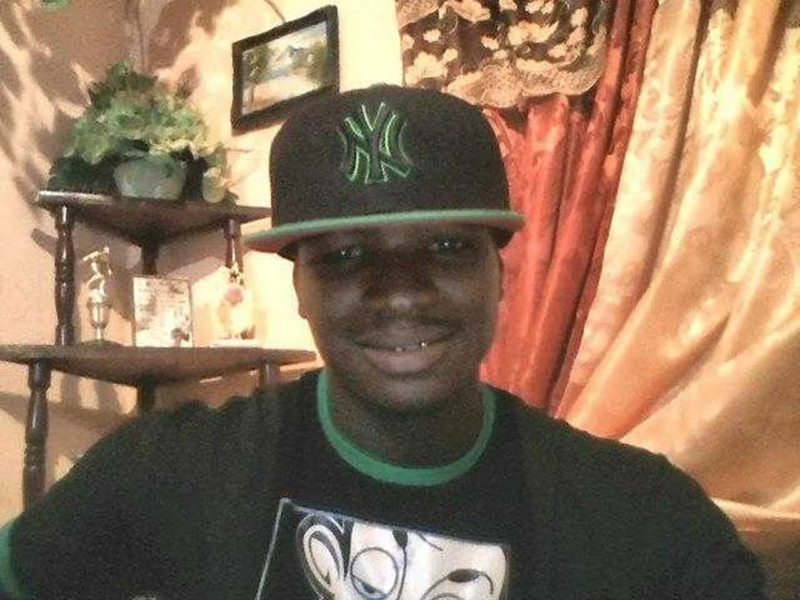 Un­for­tu­nate­ly, on­ly one of them man­aged to make it home safe­ly. Bruised and trau­ma­tised Key­on Alexan­der, 29, of La Union Road, Erin, ar­rived home around 3 pm yes­ter­day, less than 24 hours af­ter he was kid­napped. He had spent the night swim­ming des­per­ate­ly and scream­ing for help from pass­ing boats. Wet and cold, he man­aged to climb on­to an off­shore oil in­stal­la­tion where he rest­ed for a while be­fore be­ing picked up by lo­cal fish­er­men in a pass­ing boat. How­ev­er, Alexan­der’s boat cap­tain An­tho­ny George, 32, of Guayagua­yare, re­mained miss­ing up to late yes­ter­day. Coast Guard of­fi­cers con­tin­ued search­ing the seas with the hope of find­ing him. 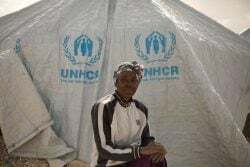 Dur­ing an ex­clu­sive in­ter­view with Guardian Me­dia yes­ter­day, Alexan­der’s sis­ter Adan­na Ahey said they were hap­py Alexan­der was safe. “The in­side of his legs grate up be­cause he had to climb up the plat­form. His feet bruised and bloody. His clothes dirty but thank God he is alive. He said it not nice out there. These Venezue­lan men des­per­ate,” Ahey said. Ahey said Alexan­der was not fond of go­ing to the sea af­ter they lost their broth­er Ed­mund Charles, who died in a boat crash last year, but she said he could not find work so out of des­per­a­tion he de­cid­ed to fight it out at sea. She said while the friends were fish­ing aboard a pirogue named Good One they were ac­cost­ed by a Venezue­lan gun­man who or­dered them in­to an­oth­er ves­sel. 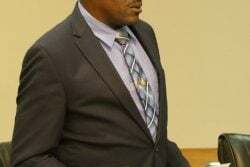 The pi­rates then con­tact­ed George and Alexan­der’s fam­i­ly and de­mand­ed US$5,000 for George and $US10,000 for Alexan­der. Ahey said she did not know why her broth­er was worth more. The call was made to a nephew and the fam­i­ly was told the fish­er­men would be killed if they did not pay. The Venezue­lans al­so placed the men’s phones in a rice buck­et and sent a pho­to to the fam­i­ly as proof that they were cap­tured. But Ahey said they were not wealthy and could not af­ford a US$10,000 ran­som. Key­on’s wife, Abi­gail Alex­is, de­clined to com­ment yes­ter­day, say­ing she did not have any de­tails to share. Alexan­der, who has been fish­ing since he was 12, went to the Cap-de-Ville Po­lice Sta­tion where he made a re­port to the po­lice. In­ves­ti­ga­tions are un­der­way but a se­nior po­lice source said they were pur­su­ing an al­le­ga­tion that some­one from the men’s com­mu­ni­ty was li­ais­ing di­rect­ly with the Venezue­lan pi­rates in the kid­nap­ping. One of the biggest gangs of pi­rates op­er­ate from the Caño Man­amo Riv­er in Venezuela, which is a trib­u­tary of the Orinoco Riv­er. The po­lice source claimed the riv­er-based pi­rates were re­spon­si­ble for the kid­nap­ping of sev­er­al lo­cal fish­er­men. The gang, whose leader is well known by In­ter­pol and the Guardia Na­cional, has re­cruit­ed large num­bers of des­per­ate, hun­gry Venezue­lans who are forced in­to ban­dit­ry be­cause of that coun­try’s dire so­cio-eco­nom­ic cri­sis. Jan­u­ary 12: Ken­rick Mor­gan, 17 and his cousin Kendell Singh, 24, were kid­napped while fish­ing off Gran Chemin, Moru­ga. The kid­nap­pers de­mand­ed a ran­som of US$40,000 which was lat­er changed to US$20,000 and five iPhones. They were al­so re­leased. Feb­ru­ary 8: Af­ter pay­ing a US$90,000 ran­som, which in­clud­ed 10 cell­phones, gold jew­ellery and sev­er­al boat en­gines, fish­er­men Lyn­ton Manohar, 35, Ja­son O’Bri­an, 38, Jagdesh Jude Jaikaran, 16, Bran­don Ar­joon, 28 and Ricky Ramb­harose, 35, from Morne Di­a­blo, Pe­nal, re­turned home af­ter be­ing held in cap­tiv­i­ty for more than a week.